“Virtual Races are pointless…” Some people would argue. With the shorter distance fun runs, you can train for it by running minimal mileage, or skip a scheduled maintenance run that you have plotted out. For Virtual races, you are forced to follow your set schedule, or else, you will have to compensate on the next runs so you can accumulate the required distance! If this does not build the discipline and the right habit for mileage base-building, then we do not know what will! When racing with hundreds or thousands of other runners on conventional running events, we usually go with the crowd… Going too fast in the first few kilometers, staying with a pack without pushing more; thinking it is our “limit”, or being distracted by other runners’ pace. Sounds familiar? In Virtual Racing, you can be competitive with only yourself, pacing as you planned, without distractions from others. You stick with your training plan. This not only gives you a better judgement of your performance, but it also gives you the proper baseline of what effort you need to beat your old self on the next runs. The first impression of runners when Virtual Race was introduced by us in 2016 was: “What if someone cheats, like uploading fraudulent records?” But come to think of it, Virtual Races do not give the same amount of acknowledgement or distinction to top finishers as regular races do. We announce them, but it is merely a record for participants, but no podium prizes are given since the basis for these records are all coming from different sources with different causes of possible errors that the organizers or runners cannot control, like GPS issues. Given this setup, we do not see the point of cheating on Virtual Races. Especially as these are self-monitored runs, with verification done as safeguard for fairness among participants. So if anyone cheats, aren’t they cheating themselves? 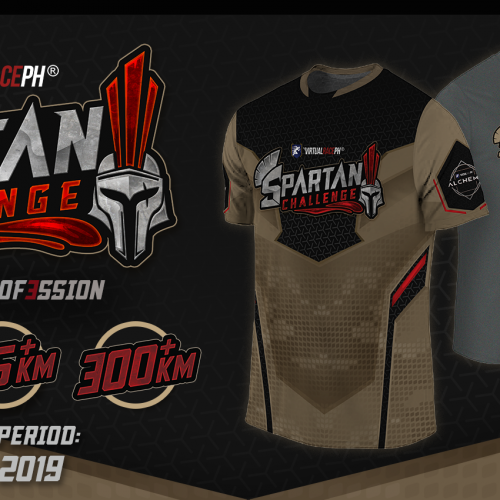 As one of the verifiers of most VirtualRacePH run records, I have yet to see an intentional cheating case in our events… Definitely, NO NINJAS!!! With VirtualRacePH, we make sure each kilometer covered has a meaning with our partner charities for each event. When you know that you are not just running for yourself, but for a greater cause; a boat so students don’t swim to school, a relief operation for victims of natural disaster, a scholarship to ensure a better future for a deserving child… wouldn’t it make you want to run the extra mile? With VirtualRacePH gathering runners across the globe (We now have runners in all continents, except Antarctica!!! ), your training views and runner interaction will not be limited to the elites we see on the road races. In the different social platforms of the VirtualRacePH community, we get to see the masters from Luzon, Visayas, Mindanao, and beyond! We also see how different running teams get together, share tips and advices with each other and to individuals as well. Truly, it is a community of helpful people, united by the passion for running and helping each other! What other benefits did you get from joining Virtual Races? Join one now!! !